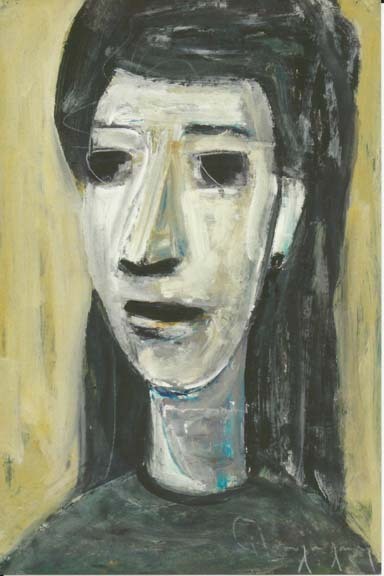 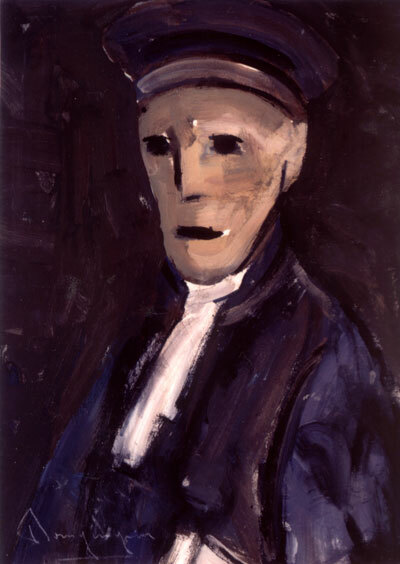 "Far from being realist portraits, [Bourguignon's faces] are reductive forms, often imbued with a patchwork of layered textures and colors and with simply rendered lines of brushwork to indicate, with the barest possible detail, distinguishing characteristics such as eyes, lips, and other facial features.... 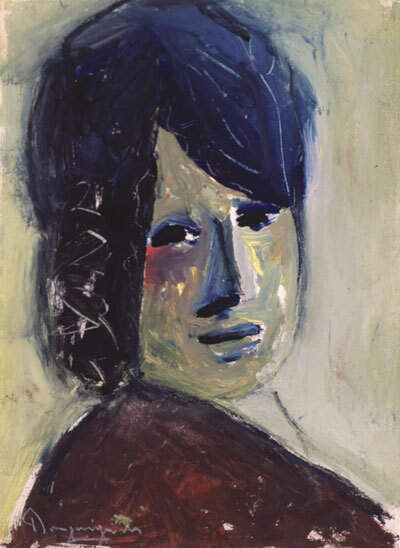 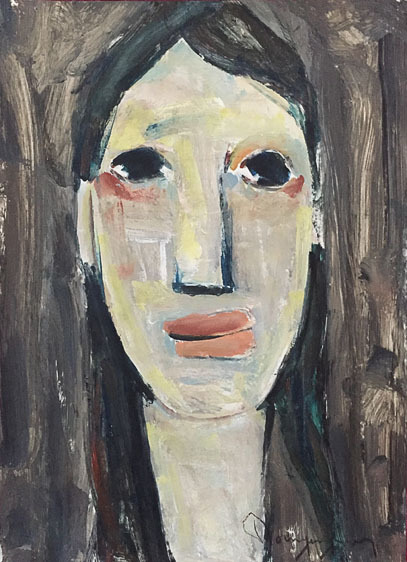 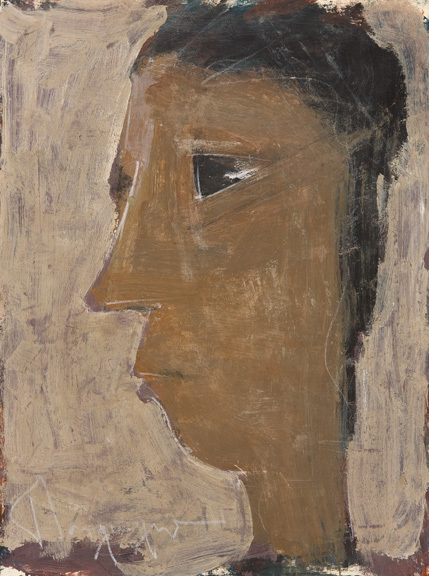 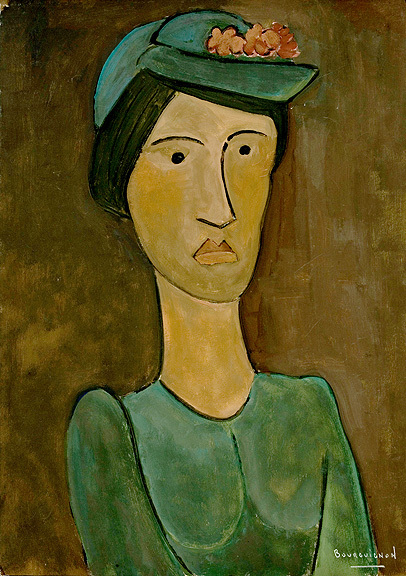 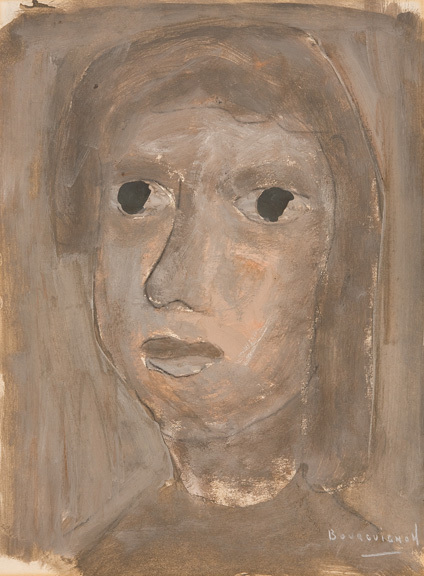 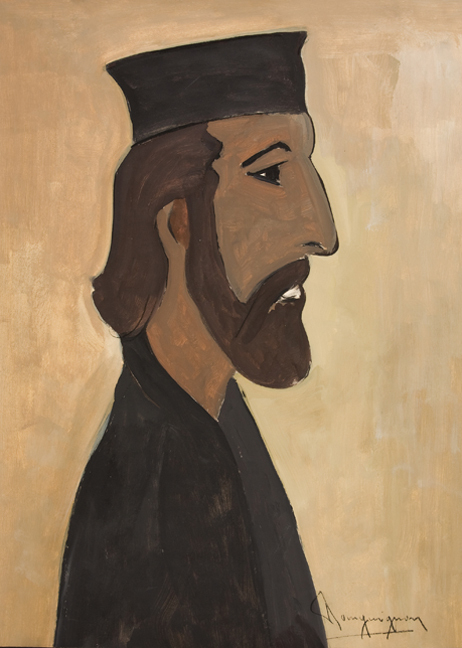 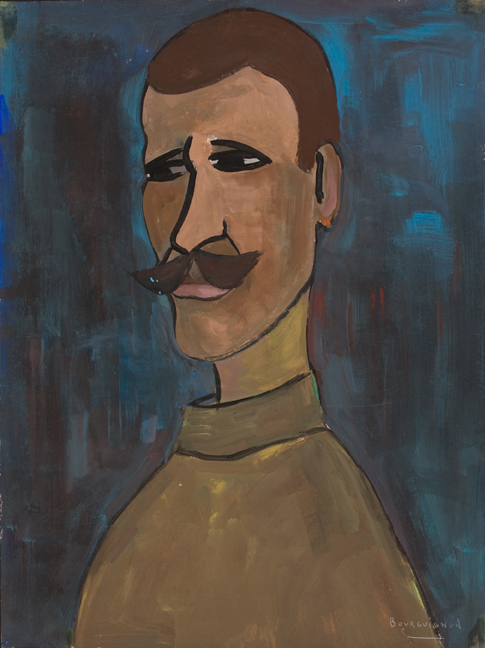 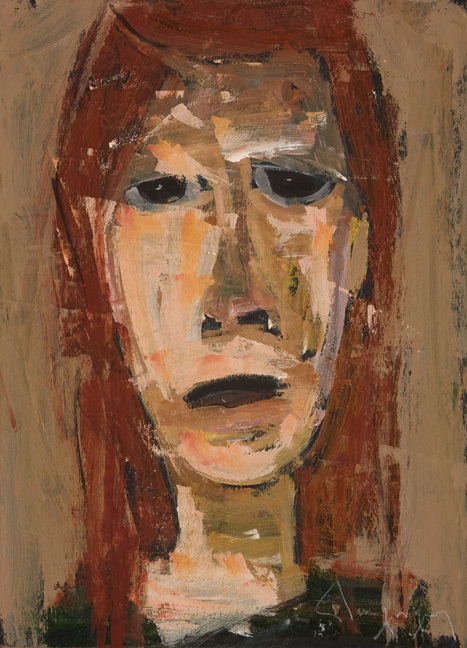 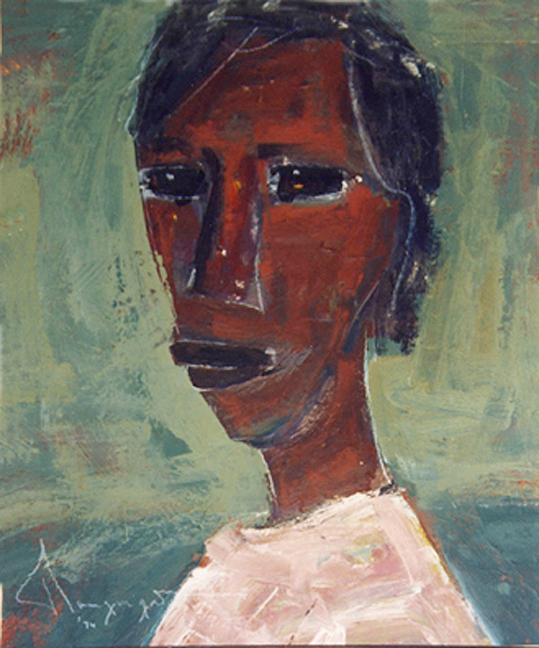 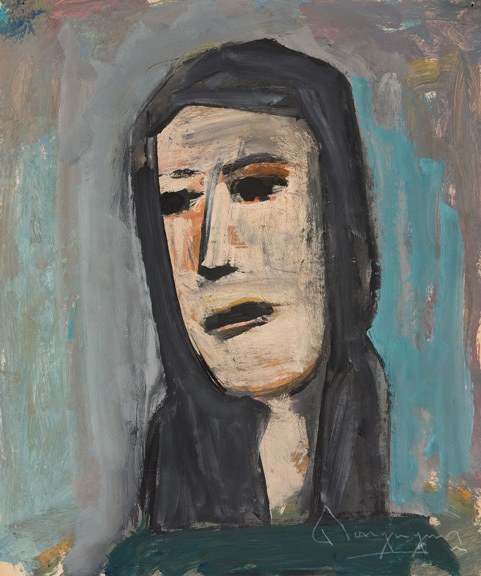 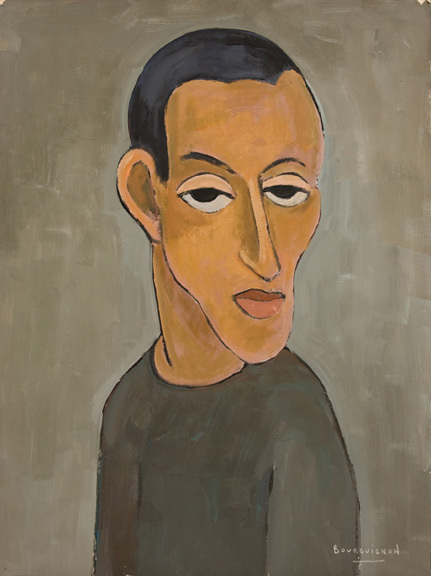 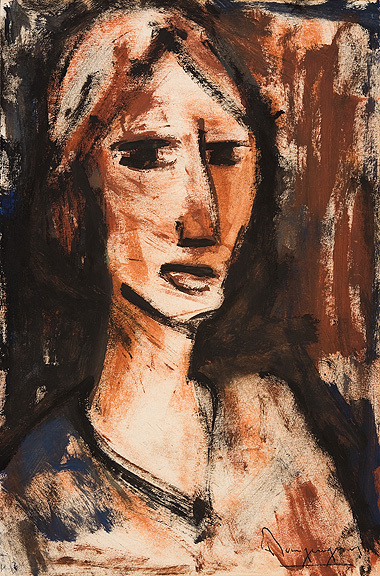 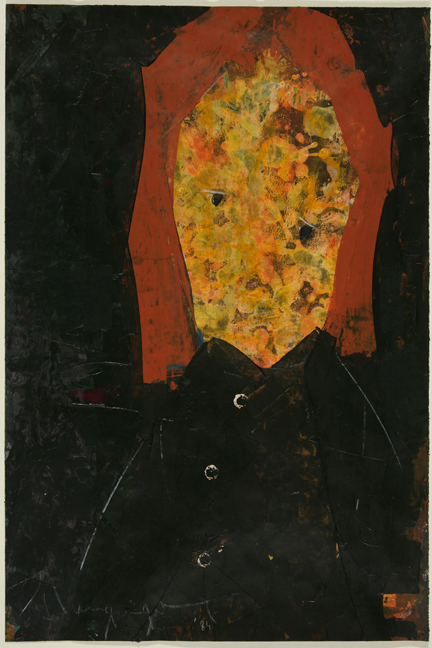 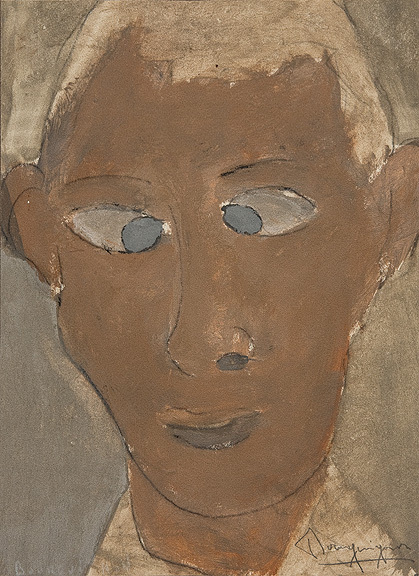 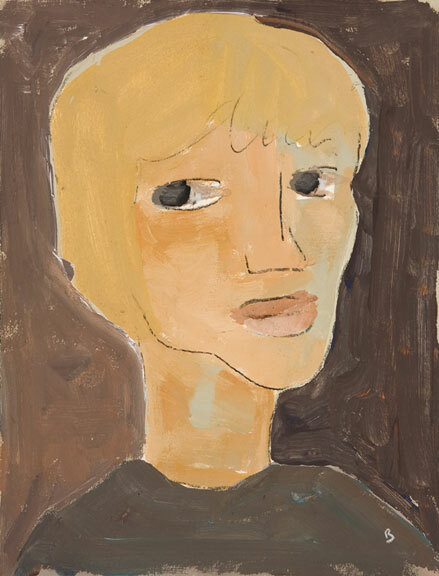 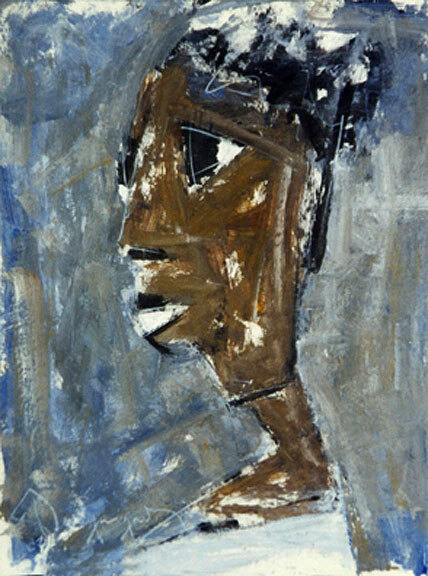 In Bourguignon's portraits, what reads as primitivism may instead be simply a kind of pure expression that naturally lends itself to his unsentimental and uncomplicated vision. 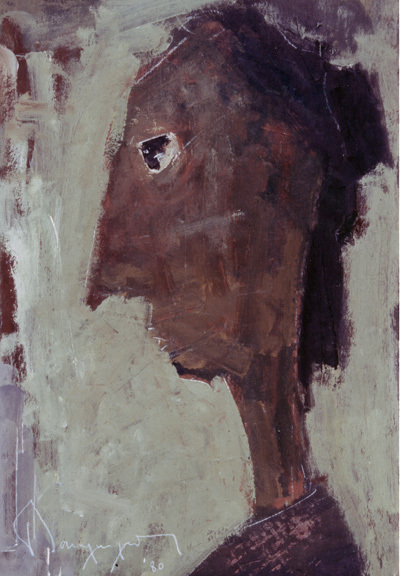 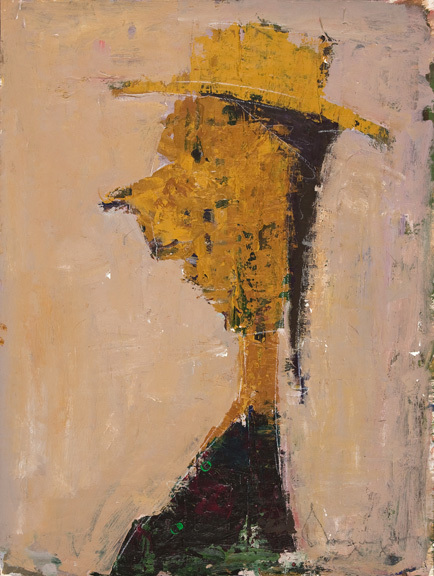 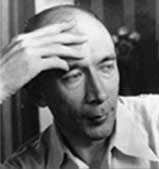 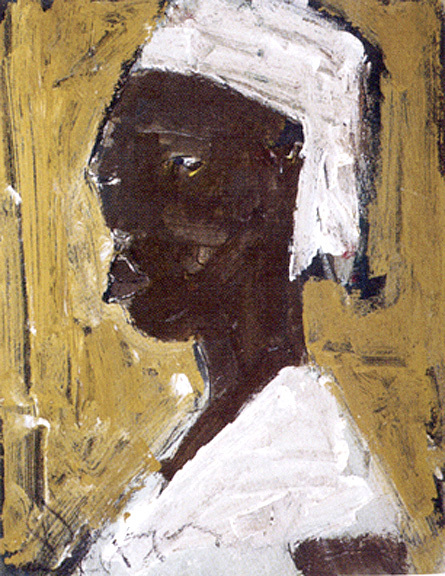 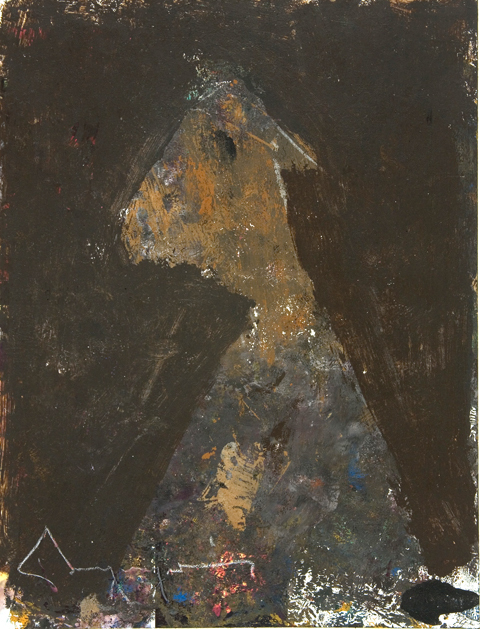 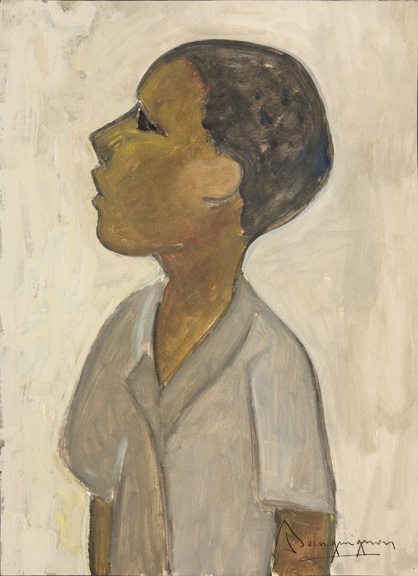 An aspect of some paintings is his manner of outlining features of his subjects using negative space rather than dark lines. 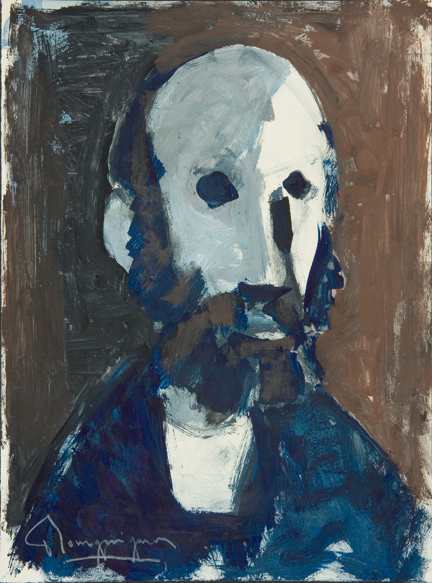 The colors of the faces themselves recall the intensity of Fauvist imagery." 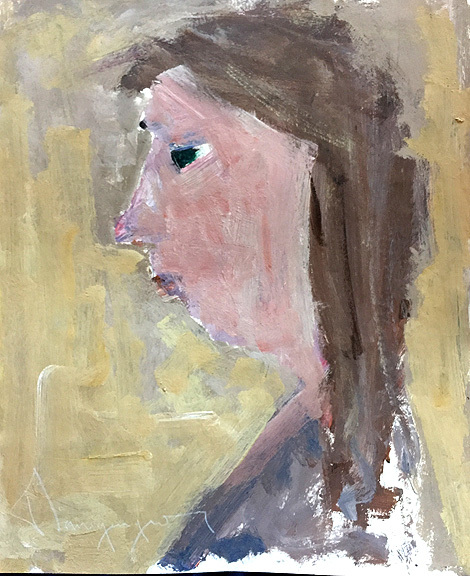 "Faces in the Crowd: Paul Henri Bourguignon"
For more information or to inquire about a painting, contact the gallery listed in the painting description, bourguignonestate@gmail.com, or 614-619-0123.